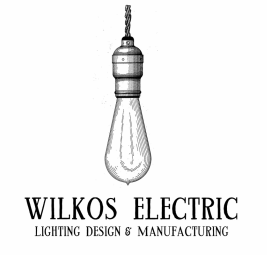 Wilkos Electric specializes in custom made lighting for retail stores, interior designers and residential clients. We work with you in order to design and manufacture the lighting you need, based on your specifications. We have worked with restaurants owners in New York, Toronto, Montreal, Vancouver, Buenos Aires and more to build them the lighting they needed for their space. We also work with interior designers on commercial and residential projects. Although we specialize in commercial clients, we also do design and creations for residential users. Our team can create almost any light fixtures you might think of, and we have experts at assembling and adding patina to our creations. Everything we build is made using parts made in Canada and the USA, and is assembled by hand in Canada. If you have retail store and wish to carry some of our light fixtures and desk lamps, we can customize the finish, colors and branding. We can emboss your logo, change the colors, offer certain exclusive models or created new lamps just for you, base on your specifications.